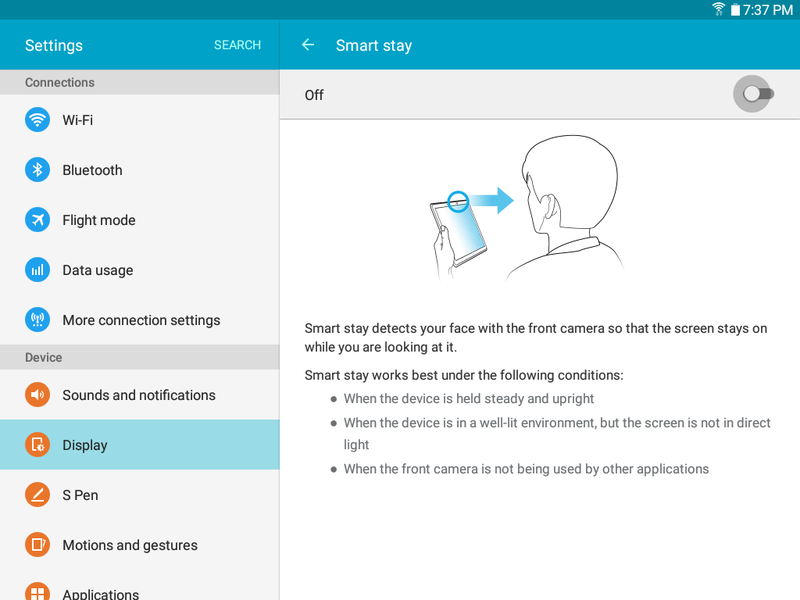 The Smart stay feature uses the front-facing camera to detect when you are looking at your device so the screen stays on regardless of the screen timeout setting. 1. 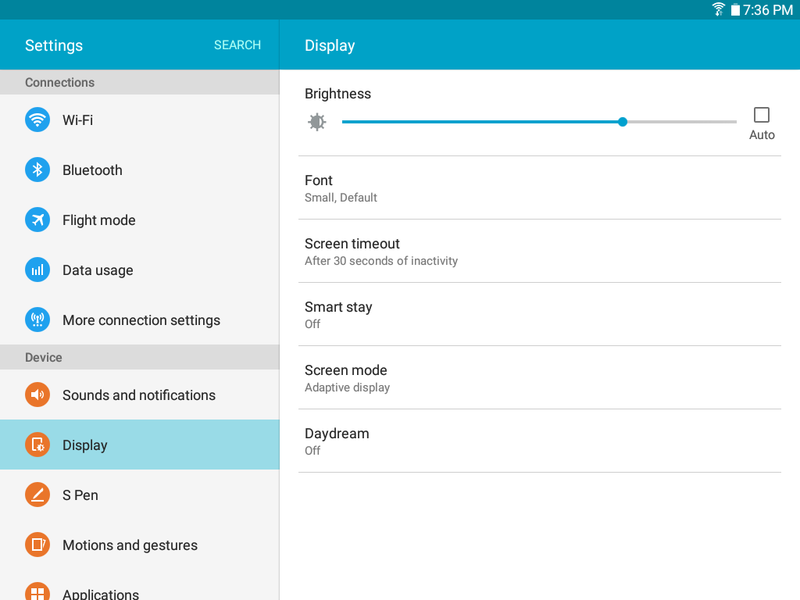 From the Home screen, touch Apps > Settings > Display . 2. Mark the Smart stay checkbox to turn on the feature. • When the device is held steady and upright. • When the device is in well-lit conditions, but the screen is not in direct light. • When the front-facing camera is not being used by other applications.